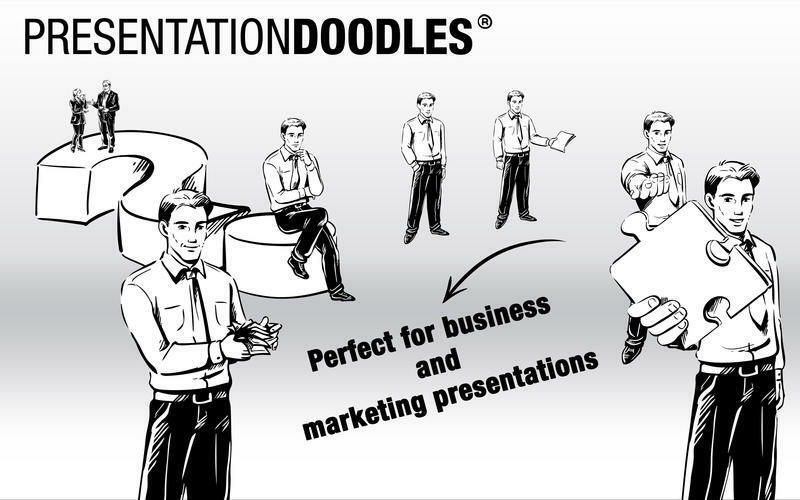 Create professional presentations with handdrawn elements. Is there a better alternative to PresentationDoodles for PowerPoint and Keynote? 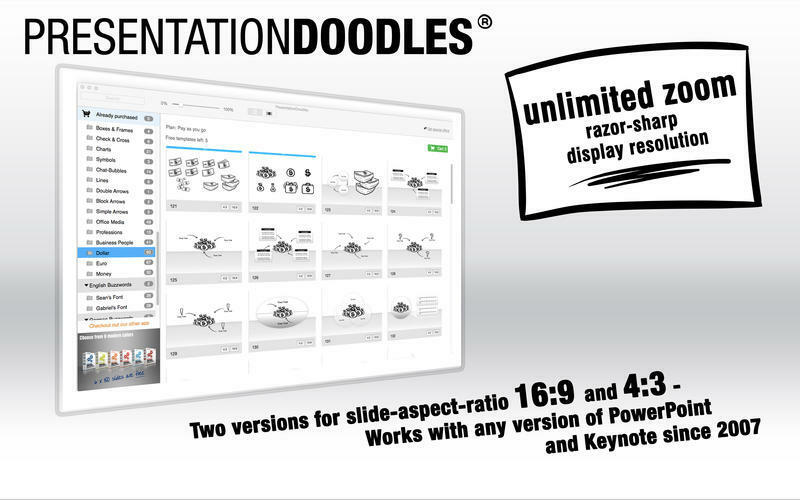 Is PresentationDoodles for PowerPoint and Keynote really the best app in Presentation Tools category? Will PresentationDoodles for PowerPoint and Keynote work good on macOS 10.13.4? 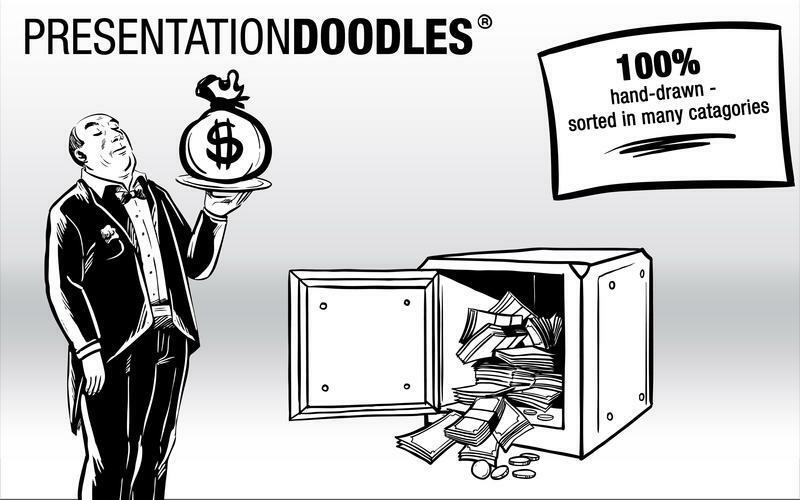 PresentationDoodles consist of over 800 hand-drawn objects and elements for your professional presentation and over 600 handwritten presentation-buzzwords. Explain your content fast, easy, effective and above all with emotions. You choose from hundreds matching objects and simply put them together - only your imagination is the limit. Develop your demanding and highly effective presentation in just minutes, rather than hours. Impress your audience and emphasize important messages with your personal touch. Convince with a masterful stroke of the brush, as if you were a professional artist. 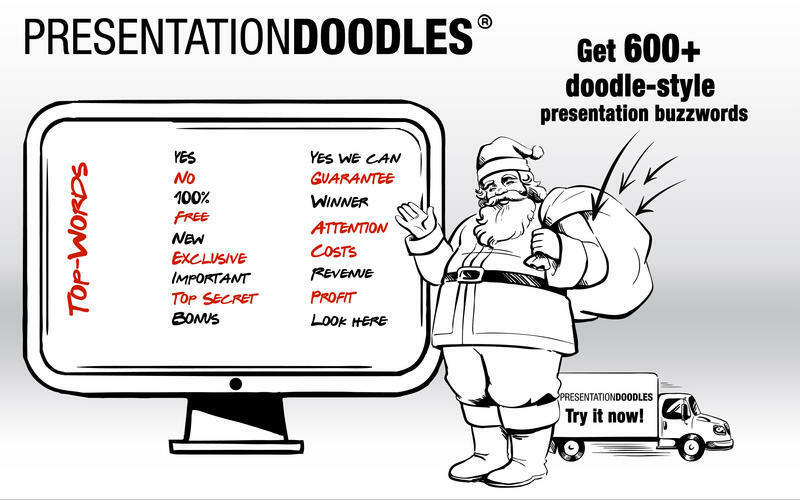 PresentationDoodles for PowerPoint and Keynote needs a review. Be the first to review this app and get the discussion started! 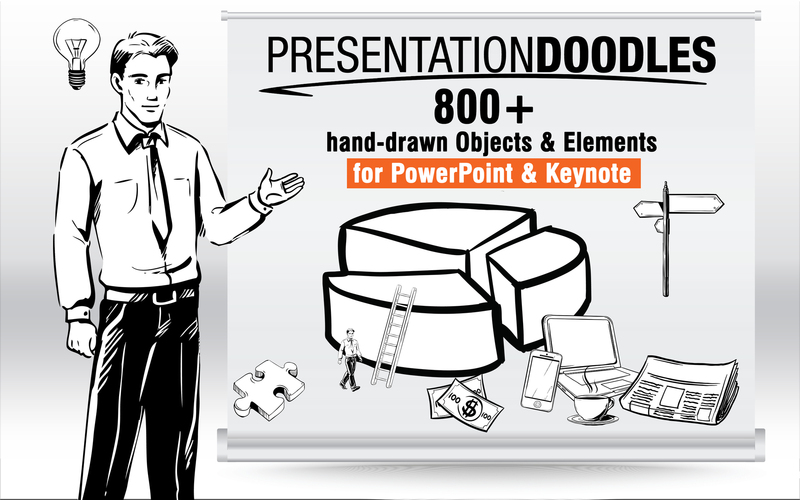 PresentationDoodles for PowerPoint and Keynote needs a rating. Be the first to rate this app and get the discussion started! Find hundreds of pre-made slide templates (both 16:9 and 4:3 aspect ratio) to convey your message in no time.